Chemicals called contrast agents used during cardiac angiography can seriously damage kidneys which, in turn, increases chances of heart attacks. Side-effects were earlier thought to be temporary. A team tracked 294 patients exposed to contrast agents for a year. 31 per cent of the patients were found to suffer from long-term negative health effects and 13 per cent either suffered from strokes, heart attacks or critical renal failure. The study appeared in the June 25 issue of the Clinical Journal of the American Society of Nephrology. Glaciers that end in oceans as icebergs (tidewater glaciers) are supposed to be less affected by global warming but a team found evidence to the contrary.The ice in Greenland and Arctic, are in danger of shrinking in a geologic instant or the next 100 years. The team studied rock samples of a similar prehistoric glacier at the Canadian Arctic. Results suggested that 5,000 years ago a significant warming triggered a rapid breakdown of the glacier once it was barely inside deep waters. The study was published in the June 21 issue of Nature Geoscience. Scientists recently transmitted information via chemical reactions. Terming it infochemistry, the team said the process only requires combustion energy and hoped it can be used to transmit data in harsh environments where electricity and batteries do not work. Using various metallic salts the team encoded a sentence on a strip of combustible material. It burnt and transmitted the data that was read by a detector located two metres away. 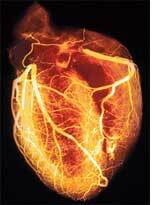 The study was reported in the June 9 issue of Proceedings of the National Academy of Sciences. Plants can warn their neighbours of impending danger. 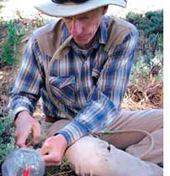 Researchers placed sagebrush plants within 60 cm of plants whose leaves were clipped and plants with leaves unclipped. Plants placed near clipped neighbours suffered less leaf damage over the next season than the others. When some plants, with clipped leaves, were bagged to prevent air contact with the neighbours they failed to respond. The team proposed that clipped plants behaved like plants attacked by herbivores, and released airborne warnings. The cues led healthy plants to secrete chemicals making them less desirable to herbivores, said the study in the June issue of Ecology Letters. Researchers found nearly half of Mediterranean gulls in southern France were carrying highly drug-resistant bacteria that can spread rapidly. These birds, as a result, have developed resistance to antibiotics said their study, reported in the June 18 issue of PLoS One. The resistance pattern was found to be similar to that in humans. Gulls live in regions around the coast which entail close contact with humans and so there is ample opportunity for exchange of bacteria. Superoxide, a toxic free radical, helps birds see the earth's magnetic field which is essential for their migration. Birds' eyes have a photoreceptor called cryptochrome that acts as a biochemical compass. The compass has a reaction partner which a study, published in the June issue of Biophysical Journal, found to be superoxide. As it is toxic, it is present in low quantities which is required for the compass to work effectively. However, its toxicity again is the reason human eyes do not have a geomagnetic sense even though they have cryptochrome; evolution did away with the toxic partner. billion years ago, revealed vast tonnes of CO2 and water vapour were added to earth making it life-sustaining, said the study in the June 1 issue of Geochimica et Cosmochima Acta. The lesser horseshoe bats steer clear of lit areas to the extent of changing their flight routes, found a study. 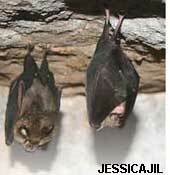 A team installed high pressure sodium lights, mimicking the glow of street lights, in the bat's routes. Their numbers declined drastically as they chose detours even when those led to sub-optimal terrains. The study in the July issue of Current Biology, highlights the need to reduce artificial light pollution as these bats are going extinct.